Vonage has been found guilty of infringing patents held by US telecoms giant Verizon. Verizon sued Vonage after it alleged the Voice over Internet Protocol (VoIP) company had infringed on seven of its patents. This week, US jurors found Vonage guilty of infringing on three patents and ordered the company to pay Verizon $58 million (£29 million). 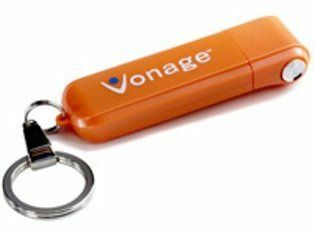 Vonage has also been ordered to pay a 5.5 per cent royalty rate on all future sales of devices using Verizon's technology. The company has said it expects the result to be turned around on appeal. Despite this, Verizon asked the court to place a permanent injunction on Vonage to stop the VoIP company selling the technology completely. A Verizon spokesperson told IT World that the company sued to "try to eliminate a formidable competitor to part of its traditional phone business". In an official statement, Verizon said: "We are proud of our inventors and pleased the jury stood up for the legal protections they deserve". Vonage said its customers will see no change to their service.